White Salmon Wines is based in the Pacific Northwest. Who better than a wine maker to make a perfect wine opener! Their wine accessory kit is really well-designed. 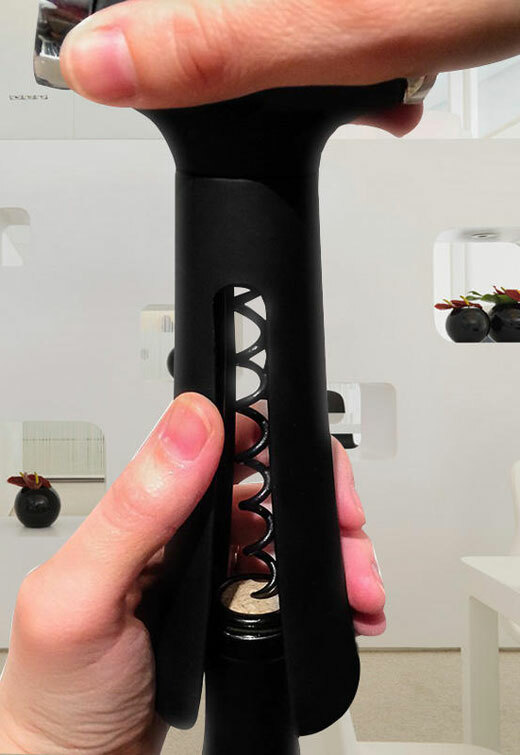 This “four in one” wine opener cuts the foil covering the cork; then easily removes the cork. Additionally the T handle houses both a spout to make pouring easier, and a useful wine stopper. The kit includes a bonus aerator to enhance the flavor of your favorite wine. The kit also provides a convenient carry bag so you can carry your kit on an outing with friends like a picnic or boating or back yard barbeque or Formula Mazda Race! As a wine enthusiast, Oma really appreciates the quality and thought put into this 4-in-1 Wine Opener Aerator Accessories Stopper Corkscrew Foil Cutter Kit. It would make a great and affordable gift. I keep mine in the trunk of my car so I am never caught unprepared. My only suggestion would be to make the carrying bag just a tad longer. Wine makes life more fun! 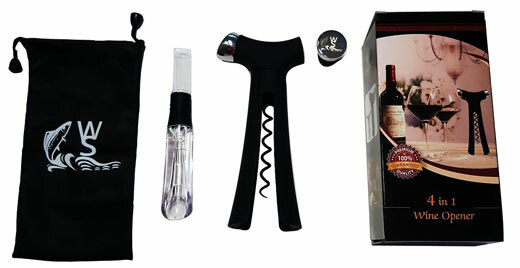 - This convenient 4 in 1 kit includes all the wine tools you need. - Easy to use opener effortlessly removes the cork and cuts the foil in one motion. NO MORE BROKEN CORK Caused by Misalignment or Pulling. Wine Opener Sleeves Guides Corkscrew Straight Down The Center. Rotate Handle Clockwise, Corkscrew Will Raise Cork Out. 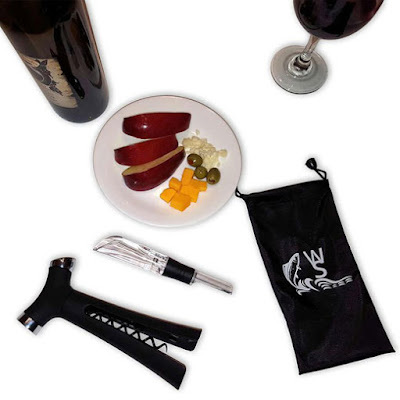 - The Aerator will enhance the flavor of any wine. Once you use one you will not want to be without. -A convenient wine stopper is stored in the T handle of the opener so it is always there when you need it. It will preserve your wine for several days depending on the wine. This extra benefit allows you to keep the opener and the aerator together to keep from losing one of them. It also allows you to easily carry it with you on a romantic getaway or simply to an outing with friends. LIFE TIME WARRANTY--At White Salmon Wines, we stand behind our products. 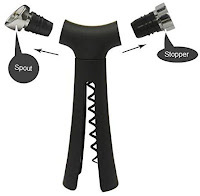 EASY TO USE--The screw slides the cork right out with little to no pulling needed. With our extra long screw worm, almost any size cork can be removed without pulling or prying which can lead to a broken cork. FREE--Wine aerator aerates the wine to enhance all those intricate flavors. WINE STOPPER--In the T-handle for convenient storage. Wine stopper seals air tight to preserve your wine up to three days depending on the wine. FOIL CUTTER--The opener has a built in foil cutter you remove the cork and cut the foil in one motion. with the highest quality products to help you enjoy your favorite wine even more!